There's a tear in the fabric. There's a knife on the floor. Where her body lay cold. And of lovers have no lifelines. So charming when you choke on your pride. It's so ugly it's not fair. Reminds me of gasping for air. Is a feeling that I couldn't bear. 'Cause you showed the world my infatuation. Now I'll show them you. And I've been dying for a way to get back here. And I've been drinking with the ghost of your old friend. everything in our best interest..."
but your skin in warm, but your skin is warm..."
with a stare at long eyes to hear ears. a question that i might not work,..."
in a box wrapped with jades..."
this winters kill off what the summer thought in groove..."
the well drinks that soak my charade her..."
"Emily's under blankets, tucked in by paramedics. A lullaby of sirens flood this town. 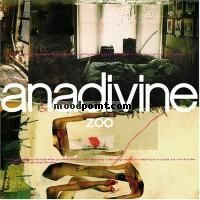 drinks till my eyes get heavy...."
if you want to see other song lyrics from "Zoo" album, click "Anadivine Singer" and search album songs from the artist page. If you know some new information about Duet From The Dead, or other song from our site, that isn’t already on song page, please let us know, Any refinement, news, or comment is appreciated. If information about Duet From The Dead, or any song from moodpoint directory is wrong, please contact us and write where the incorrect data should be replaced by correct data. Use "Find Lyrics" box on our site, try to use different artist or (and) song title(ex: Duet From The Dead) word forms.